I am: Melvin Monroe (BKA, Orion Intell. Intell, for short). My state ID # is: 1040513. I was received in DOC: 30 Jan 96. I am 40 yrs old. My date of birth is 4/24/78. To any and all that have accessed this site, I would like to extend my warmest and sincerest regards for your present and future wellbeing. I would also like to thank you for your curiosity as it relates to the voice/perspective of those of us within physical confinement. Those less opened minded as yourself would disregard such a domain figuring, “There is nothing a person locked up can tell me”, when infact there is no one that can tell a closed mind anything be it within or without these walls. With that said, I would like to get to the purpose of this post. For those of you that have visited this site in the past you may notice that I am not a name that you are familiar with. My hope is that will have changed by the close of this posting. To not further belabor the purpose of this introduction I will get on with it. My Name in full is, Melvin Junius Monroe Jr. I was born in Alexandria Virginia to a white mother and black father, whom are now deceased. I am the 3rd of four children born to my mother. Prior to the relationship between my parents, my pop fathered 3 other children in an area of Virginia referred to as, “Tidewater”. Of them, there were two daughters and a son. In total, there are seven of us. Four girls and three boys. Ranging in ages from 39 to 56. I first came to the attention of the judicial system when I was 13 yrs old for throwing a rock through someone’s window. I admitted to having caused the damage and was ordered to pay the cost in full for replacement and installation of a new window. It wasn’t until I was 15 yrs old that I was before the court for a serious offense. I was moved further down south when I was 12 yrs old to Suffolk, Virginia, to stay with my paternal aunt, after my father was incarcerated on a minor drug offense. Becoming dissatisfied and evermore unruly, I was returned to my father who at that time was living with his eldest daughter, in Franklin, Virginia. I was around 14 yrs old at the time. In search of an identity, I found myself involved in everything. That indirection lead to my participation in an assault that resulted in serious injury of a guy. I, along with 4 or 5 other people, was charged with malicious wounding and maiming by mob. I was certified to stand trial as an adult because the lawyer advised me that it would be the only way that I would not be incarcerated if found guilty. He was correct. Unfortunately, I was not advised that were I to come before the court again as a juvenile, it would be as one whom has been emancipated to the status of an adult and, in the eyes of the court, I would face any charges as one. Well, I WAS found guilty and I was sentenced to 7 yrs prison; which was suspended to 7 yrs of probation. 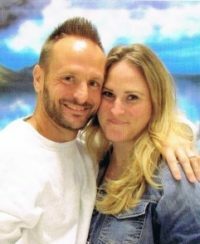 After 9 mos in jail prior to sentencing, I was released to begin my probation. Eight mos later, I was back before the court on 2 counts of armed robbery. 2 gun charges in commission of a felony. Along with an indictment for the distribution of cocaine. All of which I was tried as an adult for and found guilty of. Those convictions resulted in the violation of the terms of my probation and the judge reinstated the 7 yrs of prison that was suspended, asserting that I must do the 7 yrs sentence. I am now serving the remainder of that 7 yrs for malicious wounding, along with 5 yrs for the distribution of cocaine indictment. I have already completed the sentences for the crimes of armed robbery and the subsequent gun charges, for which I was sentenced to 23 yrs to serve without parole, and 35 yrs suspended. At present, I’m awaiting the parole response to the two offenses of distribution and malicious wounding. It is usually around the third month that answers come out. I went up on the 21 of June. I could get an answer any day. My confidence isn’t where it should be. Still, I have no cause for why it should not aside from the not knowing of whether they feel that it is my time, or no. I am 4o yrs old, now. Since 15 yrs 2 mos, I have been in society for only approx 8 mos. To date, I have been in prison 23 yrs 9 mos, flat. If I continue to earn good time at my current GCA (good time credit allowance) level, which is at its max, I will mandatory these sentences on 4 April 2021; thats only IF I were not granted parole this yr, nor the next. My hope is that I will make parole and be out of here early next yr, after completion of the mandatory 5 mos reentry programs. So, the sooner that I get my parole answer the sooner I will be able to begin the reentry programs that I must complete prior to my release. I hope that this introduction was to your satisfaction in terms of some of the questions that you may have. If no, I will do better to give more of my back story in postings to come. With that said, I’m going to close out. Man very deep. Pack your clothes, you coming home. My heart tell me that in 5 months, Melvin will be home. Uncle Mickey love you man!!!!!!!!!!!!!!!!!!!!!!!!!!!!!!!!!!!!!!!!!!!!!!!!!!!!!!!!!! !